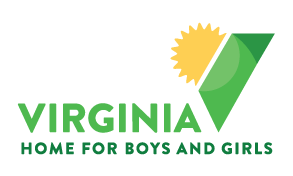 How was Virginia Home for Boys and Girls (VHBG) founded? Virginia Home for Boys and Girls (current name) was founded in 1846 in response to a young boy’s request for pennies from the headmistress of the Female Humane Asylum in Richmond. Although she was unable to offer care to the boy because her home was restricted to girls only, the headmistress inspired her husband and a group of local leaders to band together to create the Richmond Male Orphan Society, a nonprofit organization. At first located on Church Hill, it moved twice before relocating to its current site in 1957. Its name was changed to the Richmond Home for Boys in 1969, to Virginia Home for Boys in 1975, and now to Virginia Home for Boys and Girls in 2004. While taking credit for being the oldest boys home in continuous service in Virginia and the second oldest in the United States, VHBG has evolved into a child and family multi-services organization. Today, there are no orphanages in Virginia and VHBG now provides group care services, an independent living arrangement, a specialized K-12 education (John G. Wood School) and therapeutic resources. Youth who reside in our group homes (ages 11-17) or who attend John G. Wood School (our specialized kindergarten-12th grade school) may be in the custody of the Department of Social Services, a legal guardian, or their birth parents. John G. Wood students may be youth from our group homes as well as youth who commute from surrounding localities. Our Independent Living Arrangement (ILA) is available to youth ages 17-22 who have aged out of the foster care system. Our therapeutic resources are available to all youth enrolled in our group homes, ILA, and school but are also available to other youth and families who live in the region. Where do our children come from? Youth are referred to VHBG services by the Department of Social Services, Department of Juvenile Justice, public school systems, other public agencies or private social service organizations, parents, guardians, and other professionals. VHBG provides services to youth and families from throughout the Commonwealth of VA.
Where do the youth in Group Care attend school? Some youth residing on campus attend Henrico County Public Schools. However, some attend our specialized education school, John G. Wood, if they have academic or behavioral needs that impact their ability to be successful in a public school environment. How long does a youth stay in Group Care? A youth’s length of stay is determined by the individual needs of the youth and his/her parent/guardian’s ability to care for them. On average, youth are in group care for about eight months. Where do youth go when they leave group care? Whenever possible, children return to their families and or natural supports in the community. Others may move on to independent living or foster care/adoptive settings. It is possible that older teens graduate from high school or receive their G.E.D. and either go on to higher education, the military, or the workforce and reside in their own apartments. Whatever the situation may be, our goal is to always get a child into a lower level of care/dependency and into a more permanent environment. What are our campus facilities? We are located on a park-like, 30+ acre campus. There are six residential group homes, four townhouse/apartments for independent living, a specialized K-12 school, and a therapeutic resource center which include counseling and medical services. We also have a fellowship hall, dining hall, and administration offices. Recreational amenities include a gymnasium, tennis court, playing fields (soccer, baseball/softball, and volleyball), outdoor swimming pool, and an indoor recreation room with weight equipment and game tables. Make a cash contribution now. Bring your family, friends, and colleagues to our campus for a tour.